Hey guys, how are ya? 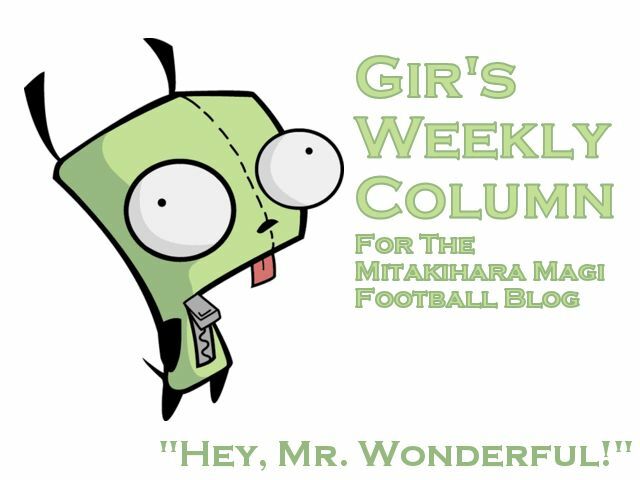 I am Gir Todafunk with another weekly column for the Daily Magi and the Magi Football Blog. Yes folks, we are on the road this week. The first of five straight road games starting with East Carolina. We're eating some barbecue at B's Barbecue, which is a popular hangout with the locals. The local chapter of the Men About Town is footing the bill for us, so we're all good. And I'm blogging this during lunch. Well, actually, we just had lunch so we're resting up at the Hilton Hotel Greenville. Had a few days to do some practicing and some training. Really, we were loose as geese. There's only a few barbecue establishments here in Greenville, so you won't be seeing a list this time around, which is unfortunately because the barbecue at B's is the best in the city. We've instagrammed a lot of our photos at B's, and the locals are really cool people. They got to chat with us about our season, and how we've really developed something worth following and being a fan of. I like spicy foods, and the Carolinas style of barbecue incorporates a lot of heat. It's great. The university is going to ship crates of B's barbecue sauce, and I think the food scientists at the university are going to analyze it, as if to be inspired. You know, if we weren't eating barbecue at B's, we'd be eating man-sized meals at Five Guys. Every one of us orders our burgers there All The Way, with the essential condiments. I know Five Guys will be opening a location in Mitakihara next month, so I'm looking forward to eating there on Homecoming Week. I think this week will be the week I finally break out of my dry spell. I've been working hard to hone the man up technique because real pros do this in their sleep. Will I be able to get at least five picks tomorrow? You'll have to tune in to City and TVA Sports to find out! I'm calling it a day. Next week, I talk about what I like to do during bye weeks. We got the first of three coming up, so keep your eyes peeled. I'm Gir, Mr. Wonderful, signing off for now. You are not alone.